When I was first test driving the car, I noticed a squeaky / chirpy noise coming from the engine about the time boost came on. Having not heard a turbo Corvair before, I asked the owner about it and he said that all the turbo Corvairs make that sound and that many VWs do as well. After purchasing the car, I decided to check with the experts on The Corvair Forum and found out that a squeaky chirp that follows engine speed is the telltale indicator of a leaking head gasket. At the chirping stage, you still have the luxury of possibly being able to just retorque the head studs and not have to replace the head gasket(s). 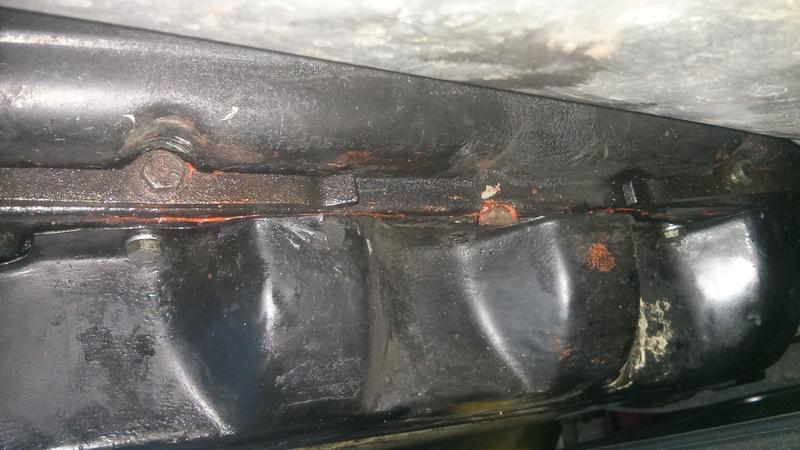 If the sound has progressed to more of a “pfft” instead of a chirp, you’re looking at new head gaskets and possibly head or cylinder work depending on how badly eroded the damaged area is. 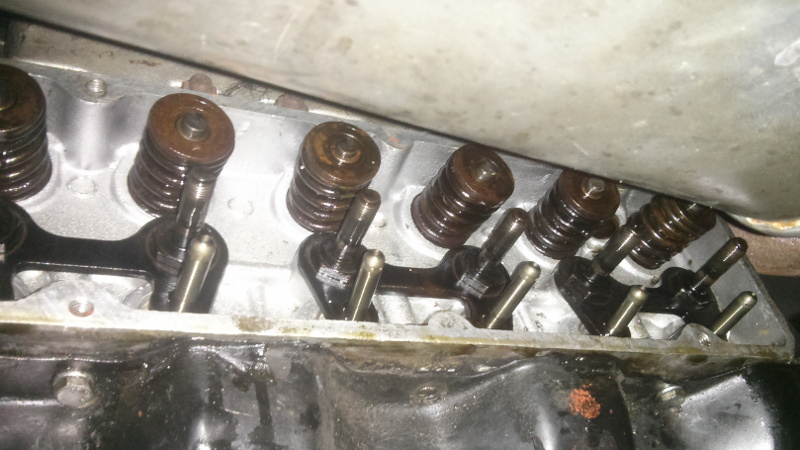 At any rate, as you can see above, one row of head studs is easily accessible with the engine fully assembled. Unfortunately, the second row of head studs is under the rockers. Fun. 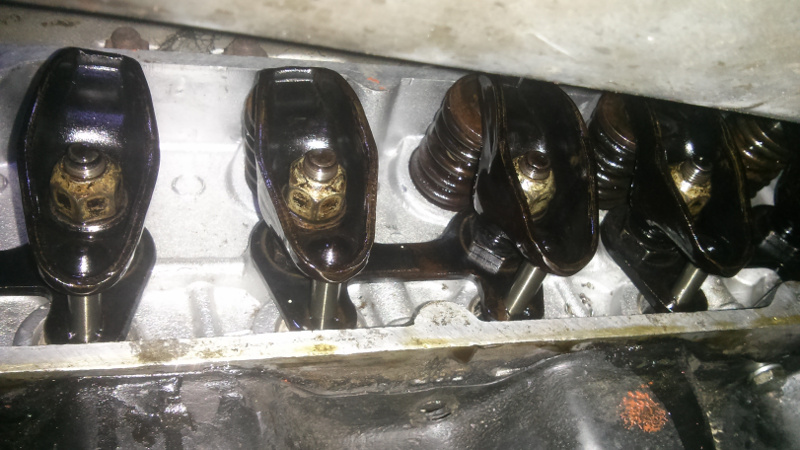 Start by pulling off the valve covers. Next, observe how your rockers are adjusted as you’ll want to put them back in about the same place to have a solid baseline when you reset your lash. Now, you can see the second row of studs. 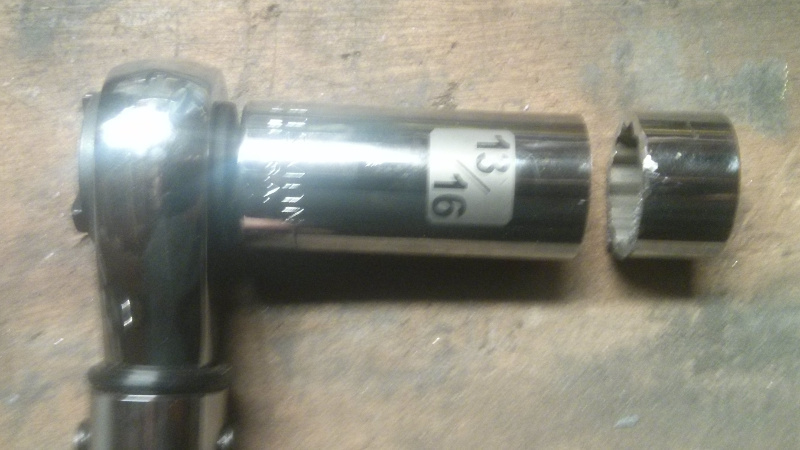 You’ll need a 13/16” socket that’s at least 2” deep to set these. 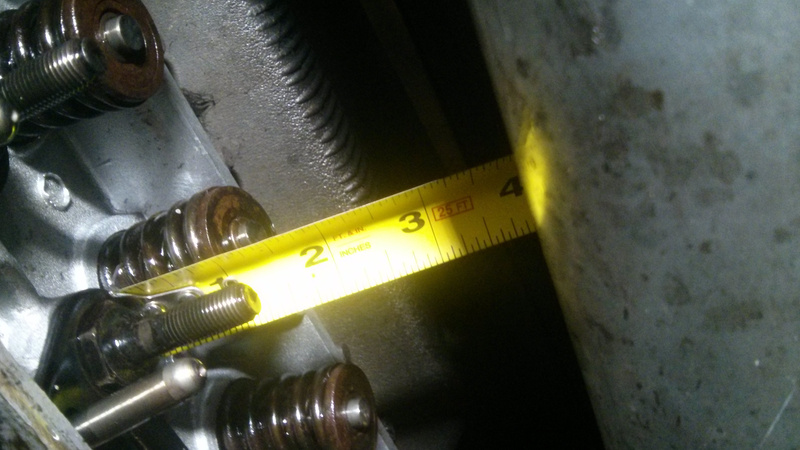 In my case, the muffler was very much in the way as my 13/16” deep socket was 3.5” deep. 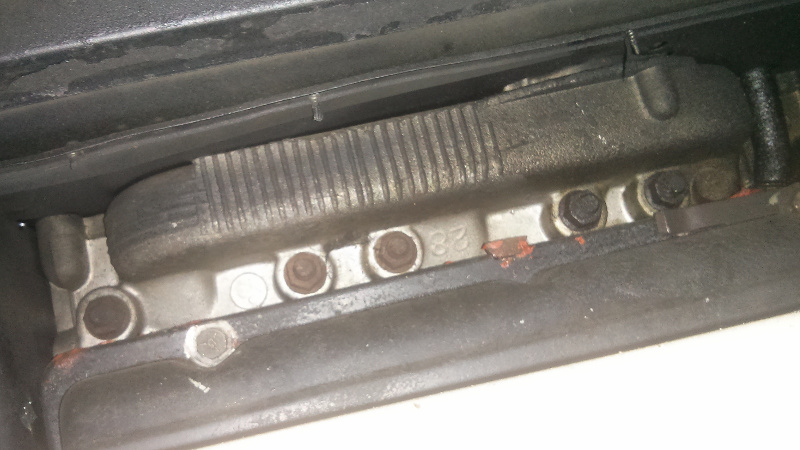 Note: You should always use a 6-point socket when torquing the heads to avoid rounding the corners. Please ignore my 12-point socket. There are multiple theories on what pattern should be used when torquing down the heads. The most popular are the GM pattern in the factory service manual and Fitch’s pattern in How to Keep Your Corvair Alive. In my opinion, the actual pattern matters less than starting in the middle and working towards the outside as well as making several passes. In my case, I used the GM pattern and made passes at 20, 25 and 30 ft-lb. I kept going over all of the studs at 30 ft-lb until none of the studs moved. In my case, it took three passes at 30 ft-lb.